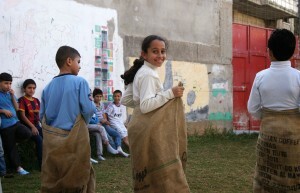 The project allows children to access to a secure playground with sport equipment to have fun and unwind. Those young would be able to exercise in an open-air to better concentrate once they are in the classroom and improve their school results. The Palestinian organization Karama offers educational, creative and recreational activities to children from refugee camp of Deheishe. 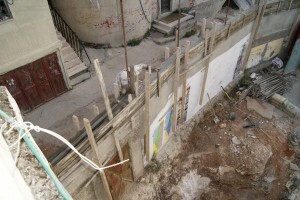 But unfortunately, the playground of the Karama center is in poor condition. 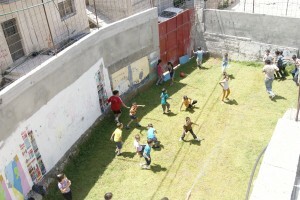 With the support of Humanium, the playground could be renovated, secured and equipped. Soon, children would be able to play football, basketball, volleyball and baseball, since a goal, a hoop and others facilities would be set-up. The rationale for the project: In Palestine, many children are victims of psychological trauma and are in a constant state of stress due to their environment, under Israeli occupation. 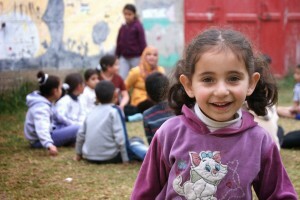 The children from refugee camp are living in especially difficult circumstances. Trauma that children are suffering manifest in distraction of attention and behavior problems, which prevent them from getting successful results in school and compromise their future. A student is like a sportive: he cannot beat records without training and feeling comfortable in his shoes! 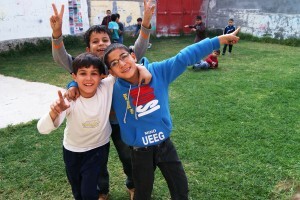 Karama is convinced that sport and leisure activities are essential to the children’s development and well-being. Playing stimulates cooperation and team spirit, kicking a ball helps to release tension and unwind. Sport encourages them to surpass themselves and build self-confidence, and once they are in the classroom, children are more concentrate and willing to learn.